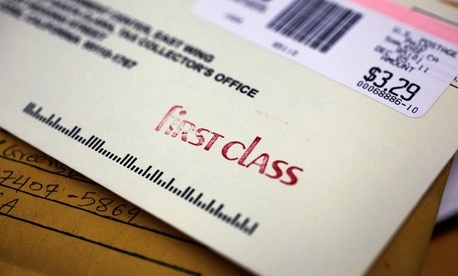 Private mailing companies and postal regulators expressed deep concern with a proposal to overhaul the U.S. Postal Service during a congressional hearing Thursday, saying provisions to give the agency more control over pricing would ultimately harm the industry. The Homeland Security and Governmental Affairs Committee held the first of two hearings Thursday to hear feedback on the bipartisan bill, put forward by the panel’s chairman and ranking member, Sens. Tom Carper, D-Del., and Tom Coburn, R-Okla. The bill would allow the current inflation-based rate cap to expire in 2016 and eliminate the Postal Regulatory Commission’s role in issuing advisory opinions on major changes to service standards. The bill’s advocates argued the requirement to obtain comments from the PRC inhibited the Postal Service’s ability to keep pace with the rapidly evolving mailing industry. They also said USPS does not charge enough to cover its costs and must therefore increase its rates above the inflationary cap. The Postal Service Board of Governors will meet next week to consider filing an exigent rate increase, which -- as required by current statute -- would then go to PRC for approval. The Commission rejected USPS’ last request for an exigent rate increase, submitted in 2010 as a result of the economic recession. Postal stakeholders organized to campaign against that increase, and have again led an effort to block a large increase. John Beeder, president of American Greetings, and Jerry Cerasale, senior vice president of the Direct Marketing Association, said any efforts to increase prices would prove counterproductive, as they would drive away more business than the added revenue would create. Coburn disputed this point, saying the USPS board would find the “sweet spot” of rate increases that adds revenue while not deterring new business. Postmaster General Patrick Donahoe said USPS agrees with the “overall approach” of the Carper-Coburn bill, as it provides the Postal Service with the necessary flexibility it needs to adjust pricing and offer new products. Donahoe’s lone complaint with the proposed legislation was that it did not require the Postal Service to switch eligible retirees to Medicare to pay for health benefits, which the Government Accountability Office said would save $33.2 billion over five years. The bill would give postal retirees incentives to enroll in Medicare, but would not require them to do so. The committee will hold another hearing Sept. 26 to weigh the Postal Service’s options for providing health care to its employees and retirees, as well as other workforce concerns. Donahoe emphasized at Thursday’s hearing that labor costs make up 78 percent of the agency’s expenses. He added the Postal Service will default on its $5.6 billion payment to prefund retirees’ health benefits due to the U.S. Treasury on Sept. 30. The Carper-Coburn bill calls for a 40-year restructuring of the prefunding requirement. The legislation received a mixed reception from lawmakers at the hearing. Senators from rural areas, such as Sens. Jon Tester, D-Mont., and Heidi Heitkamp, D-N.D., said allowing the Postal Service to switch to five-day mail delivery would harm their home states, while Sen. John McCain, R-Ariz., offered his full endorsement.